No it's not some new form of addictive drug but rather what I'm terming the appearance of plumber's crack of the foot (when the toe of a shoe fails to cover all of your toes). See last week while prancing around DSW looking for the perfect wedding shoes, I came to realize why I hate shoe shopping... I have feet that DO NOT meet normal women's proportions. What I found was shoes that fit the length of my foot are often too narrow for my toes leading to mass discomfort in even flats. I also found that because I have miniature hobbit feet (basically feet with short rectangular toes rather than normal long thin E.T. toes), my toes don't go far enough down into the shoe but stop further up and create the Toe Crack phenomenon. 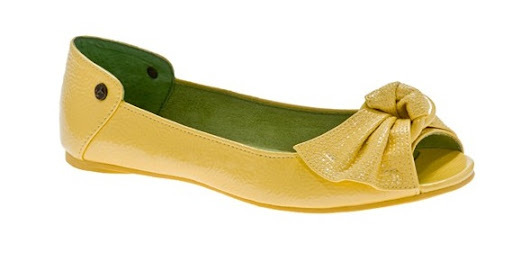 This led to many possible cute wedding shoes being turned down because of discomfort or a horrendous fit. The blowfish shoes I pondered getting gave me toe crack whether it was a solid toe or a peep toe shoe. Plus the solid toe style I was looking for was only available in black and being put on clearance. The Lucy's weren't to be found anywhere in DSW. Which was a disappointment as they were rather cute. But granted if I went with any heel, it would not last 12hrs and I would inevitably be dragging my dress around. The Harleans took me forever to find and fit well. They were quite comfortable but after having them only on a few minutes I felt my feet sweating up a storm. Apparently synthetic leather does not breathe... at all! I then proceeded to try on any shoe that would fit the bill including these cute Rocket Dog shoes. They fit well without toe crack but I wanted bright and they were all subtle muted tones. After an hour in the store, I found that nothing called to me. 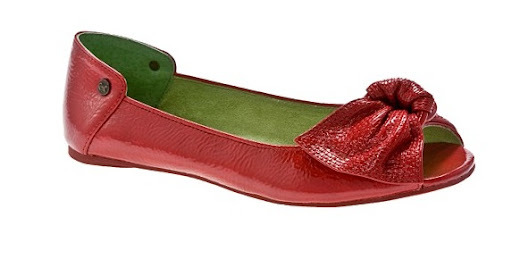 Then I hit up the clearance racks and ran across a pair of 6.5 red flats. They were blue tag clearance off of ~$50. Making them out to be ~$14. Even if I don't wear them for the wedding they were cute, cheap and fit like a glove. 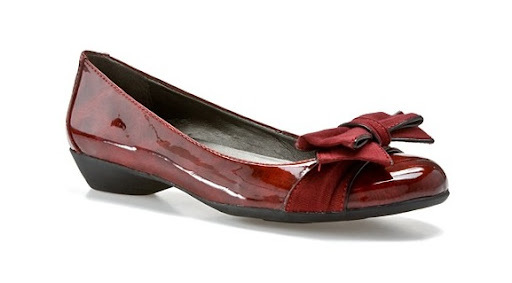 They are the Obsession Red Kid Suede by Moda Spana and this is what they look like. Little red slippers with just a wee heel and accents that make me think of vintage hats from the 40's. Doesn't the accent just remind you of accents on hats from the 40's??? How many others out there find they have better luck in the bargain bins than the regular priced aisles? Or is it just that we are more willing to risk the cash on a cheap deal than spend 4x as much on a maybe pair? I have used it.It's really very effective. But if one want results more good she or he should look for home foot massager and varieties because these massage are very useful for foot ache, cracked feet, tiring feet and increases blood circulation which keeps feet soft and our body relaxed.